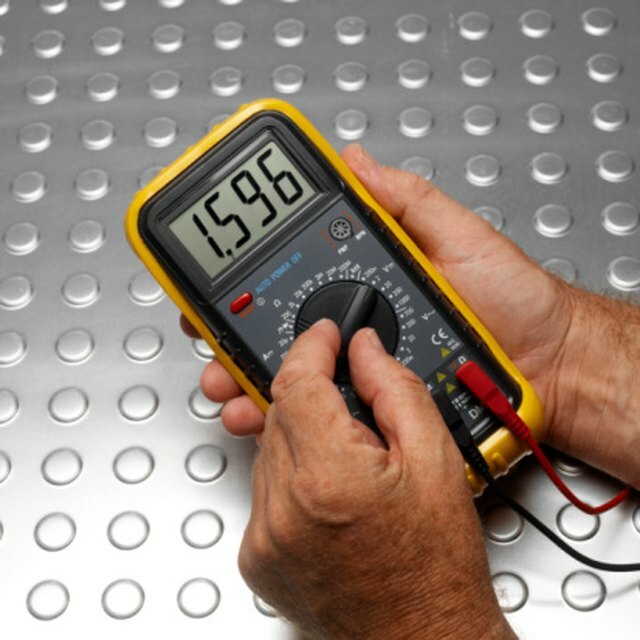 How Does an Ammeter Work? While KAIC might seem like the call letters of a radio station, it is actually an acronym used by electricians. KAIC in electricity stands for "Kilo Ampere Interrupting Capacity.” The ‘K’ stands for kilo, meaning thousand. Because of this meaning, you will sometimes see textbooks and wiring diagrams refer to KAIC as "Thousand Ampere Interrupting Capacity.” You might also see it written as kAIC. KAIC is an acronym used by electricians. It stands for Kilo Ampere Interrupting Capacity and is sometimes referred to as Thousand Ampere Interrupting Capacity. KAIC in electricity refers to refers to measurements of the ability of a circuit breaker to withstand a short circuit or overload. Amperes is the unit used to measure electric current. A kilo amp, or kiloamp, is one thousand amperes. Canada, the UK, Australia and other English speaking countries using the metric system are most likely to use " Kilo Ampere." Interrupting Capacity, or IC, is the maximum fault current that can be interrupted by a circuit breaker without failure of the circuit breaker. The fault current rating is determined by calculating the AIC (Ampere Interrupting Capacity) short-circuit rating of the electrical system. All of this refers to the ability of a circuit breaker to withstand a short circuit or overload. Large industrial circuit breakers often include a rating in KAIC that indicates the circuit size with which they are compatible. Choosing the correct breaker for your system prevents serious problems if there is a short. A kilo-ampere is a measurement equivalent to one thousand amperes. Amperes represent the flow of electrons through a circuit over the course of one second. One ampere is equivalent to one coulomb per second. A coulomb, abbreviated as C, is a unit of electric charge defined as the quantity of electricity transported in one second by a current of one ampere. One coulomb is approximately equivalent to 6.24 × 1018 electrons. You can measure the number of amperes in a circuit using an ammeter (short for Ampere Meter). Circuit breakers are designed to protect the circuit from damage in case of a short circuit or circuit overload. Breakers can withstand only a certain amount of current. These devices are designed to discontinue, or “break,” the electrical flow when the current limit is reached. All circuit breakers have an interrupting capacity rating, usually expressed in amperes, or AIC. Large circuit breakers used in commercial and industrial applications may be rated in KAIC. If you install a circuit breaker with a KAIC that is too low for the circuit, it may not be able to protect the circuit from damage if overloaded. Electricians can extend the KAIC of a circuit breaker by adding amp traps. These devices are current-limiting fuses that open a faulted circuit before that circuit can reach a level of current greater than the circuit breaker rating. Amp traps do not work on their own and are always be used in conjunction with a main circuit breaker or standard fuse. What are volts and amperes? Palmer, G.D.. "Definition of KAIC." Sciencing, https://sciencing.com/definition-kaic-12226596.html. 25 May 2018.